Edited projects and docuseries like Hard Knocks are exposing the inner workings of a franchise, giving fans the chance to see what goes on behind the curtain. 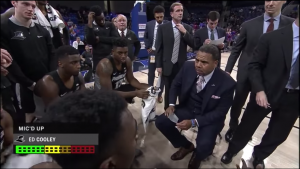 For this Saturday’s men’s basketball showdown between Seton Hall and Butler and next Friday’s women’s basketball showcase featuring Georgetown and Marquette, Fox Sports is metaphorically handing fans a jersey and putting them on the bench in the Big East. The added twist? Everything will unfurl live in front of a nationwide audience without commercial interruption. The telecast will display three boxes with on-court action and both coaches in respective boxes. When Scheer arrived at Fox Sports six years ago, he approached his superiors about putting this series of productions together. After explaining the plan, he was given the green light by everyone in the organization, including Fox CEO/Executive Producer Eric Shanks. On Dec. 30, 2016, the first iteration of the series featured two women’s teams in the New York metropolitan area: St. Johns and Seton Hall. 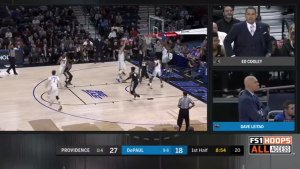 After a second women’s basketball game —Seton Hall vs. Creighton — Providence and DePaul joined the series in 2018 to represent the men. With the success of the first three broadcasts, the four current teams on this year’s slate were impressed by the dynamic of the production and were all-in. “The Big East Conference has been so receptive,” Scheer says. “[Commissioner] Val Ackerman to [Senior Associate Commissioner, Broadcasting] Rick Gentile to [Senior Associate Commissioner, Men’s Basketball] Stu Jackson are all on board. 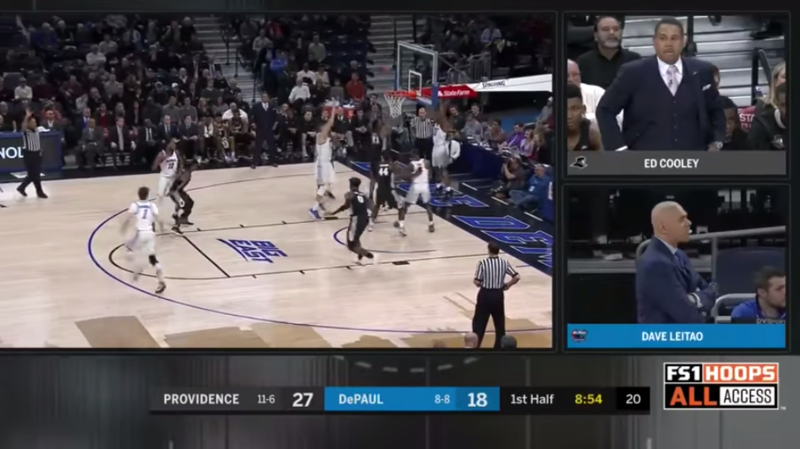 For the 2019 edition, Seton Hall head coach Kevin Willard and Butler head coach LaVall Jordan will be miked and will be the focus of a dedicated iso camera capturing every candid moment. On the telecast, Scheer will display a three-shot comprising the action and each coach inside their respective boxes. Camera crews on the floor will be inside all team timeouts and huddles. Without major commercial breaks (beyond a shortened break at the beginning and end of halftime), home viewers will be able to listen to adjustments during all timeouts and team huddles via camera crews on the floor. In addition, halftime team discussions and postgame speeches will be delivered in real time from inside the locker room. From an operations perspective, Fox Sports has conducted a dozen college basketball games in 4K, but this experience will be treated a little differently. In an effort to continue its 4K HDR initiative that began this season, this weekend’s contest will be produced in the same format. The matchup will bring the total to three broadcasts, with two more additional broadcast of this kind coming later in the regular season. In order to make this possible, seven cameras and Mobile TV Group’s 39FLEX mobile unit will be on hand in Hinkle Fieldhouse. For next week’s game, Mobile TV Group’s 41HDX will power the production in Milwaukee. The same seven cameras will be deployed, but Scheer has another camera in his back pocket that will add more flavor to the broadcast. As with any sports event, a team often deviates from its original plan. In a broadcast that focuses on the details of a coach’s game plan and is dictated by the course of a game, the need to adapt and not stick to a strict structure is essential. Halftime and postgame interaction will be seen live in each locker room. To react quickly and provide nonstop access to the nuances of the game, Scheer will apply a different production strategy. 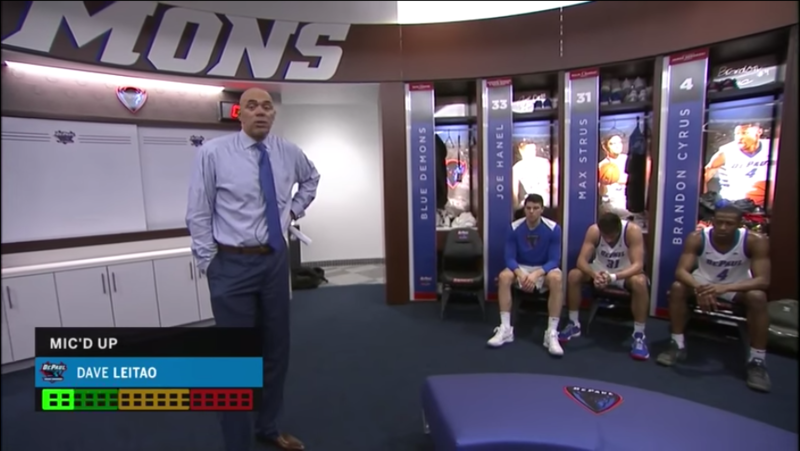 In Fox Sports’ third year, Scheer and his team realize the impact of the broadcast through the coaches that take part in it.